Featuring an elegant amethyst stone clasped in 9ct white gold, this is an elegant necklace for a special night out, or to bring a little extra glamour to your look. Amethyst is the birthstone for February. A stylish pendant, the perfect gift or treat for yourself. 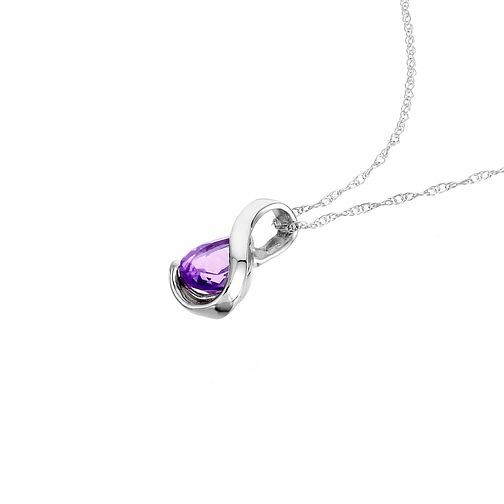 9ct white gold and amethyst pendant is rated 3.2 out of 5 by 5.